Is there a better alternative to TuneAirPusher? Is TuneAirPusher really the best app in Audio category? 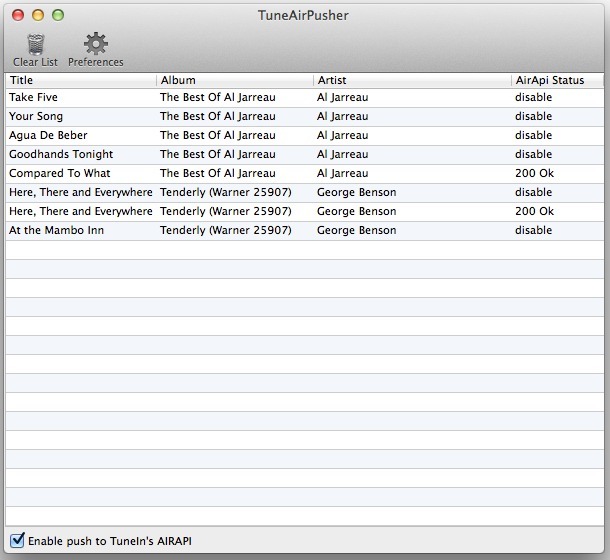 Will TuneAirPusher work good on macOS 10.13.4? TuneAirPusher needs a review. Be the first to review this app and get the discussion started! TuneAirPusher needs a rating. Be the first to rate this app and get the discussion started! TuneAirPusher will automatically follow what song is playing on iTunes app and submit currently playing title and artist name to TuneIn AIRAPI as "Recently started songs" in TuneIn's mobile app's front page automatically. You still need to request a partner ID and partner key for your station from TuneIn.